I cannot think of anything more terrifying than someone chasing me through the underground on and off trains, while the world just went about its business, either oblivious to what is happening or choosing to be. Well the chase was well and truly on when I opened this book but unfortunately not for long. In the freezing cold outside the body of a young man is being pulled from the icy water of the harbour. This wasn’t going to be any ordinary day for Detective Lena Stigersand or her colleagues Gunnarstranda and Frølich. 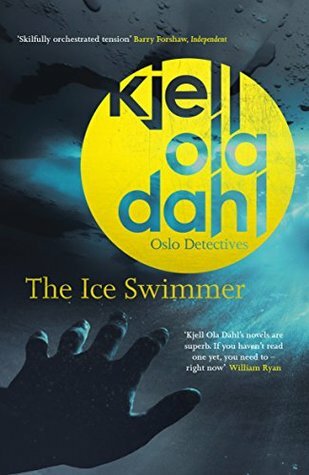 I have fallen in love with Nordic Noir and still finding these gems just thrills me every time. I loved how the chapters were set out as the story branched from what seemed like random acts of suicide to murder and so much more, then seamless connected one after another as the very different cases collided. Now I love an independent strong-willed detective, be it a man or woman and here was a sassy lady that was pretty head strong. Detective Lena Stigersand has to work for every ounce of happiness in her life but both in her professional and private lives she has been thrown a few curve balls. Impulsive decisions put her in jeopardy throughout the story. This is a no holds barred lady who isn’t afraid of pushing past the big wigs but she steps on some mighty big shoes. It makes for hair-raising reading.